Pendragon is a band, formed in the late 70’s in Stroud, a medium size town about 10 miles south of Gloucester England. After some years living in obscurity while developing their progressive rock sound, the band got a first minor breakthrough in 1982 being offered to open for the upcoming stars of 80’s prog Marillion. Pendragon and Marillion became friends and from here they would tour a lot as Marillion support act. In 1984 Pendragon released their first recordings on “Fly High Fall Far” a 23 minutes EP . In 1985 the first full length album “The Jewel”. The music was very much inspired by the sound of 70’s Genesis. I personally likes Barrett’s quite unique vocal a lot, but that said admittedly you may well find that the music relies a lot on something you have heard before. On the other hand if you like 70’s prog and want more, this may be it. Pendragon got their own record label Toff Records up and running and Simon Williams who had created album covers for EMI’s “The Classic Experience” was contacted to create the cover art, laying the foundation of a unique “Pendragon” album design. 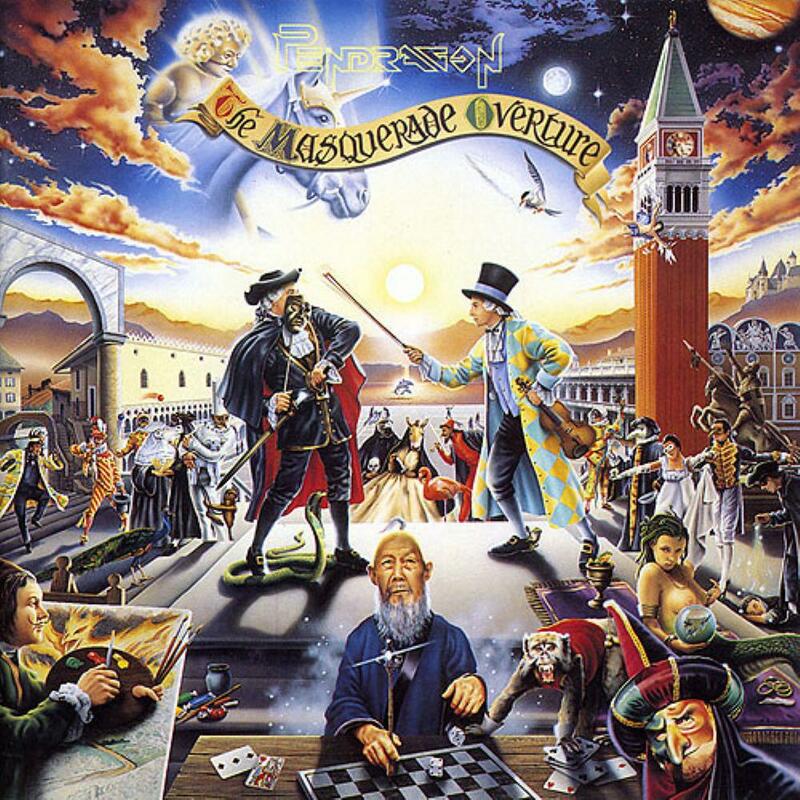 “The World” (1991), “The Window Of Life” (1993) and “The Masquerade Overture” (1996) saw the band harvesting more and more fan’s and some approval from critics. Not to mention increased record sales. The style is symphonic rock, or as some would call it “Neo-Prog” to reflect that it is a 2nd wave. Where the 70’s symphonic prog giants King Crimson, Yes, Emerson, Lake & Palmer and Genesis, were performing a highly complex music, Pendragon’s compositions are not that complicated, but never the less building on a simple formula they are able to create a pleasant melodic music, with some fine individual highlights.